The November 2016 Republican victories extend far beyond Donald Trump and the federal government. With Barack Obama and gun hating Democrats no longer in control of Washington DC, Republicans have been emboldened to take measures to protect the constitutional gun rights of American citizens. The efforts of Oklahoma Republicans were promoted by them having a 71-30 lead in the state Senate and a 40-8 lead in the House, along with a Republican governor. Indiana is pretty much the same as Oklahoma. The Indiana state Senate and House are both controlled by overwhelming Republican numbers and Governor Eric Holcomb is also a member of the Republican Party. The newly encouraged and emboldened Indiana legislature, like President Donald Trump, is wasting no time in moving to protect the constitutional rights of citizens. First Oklahoma and now Indiana. 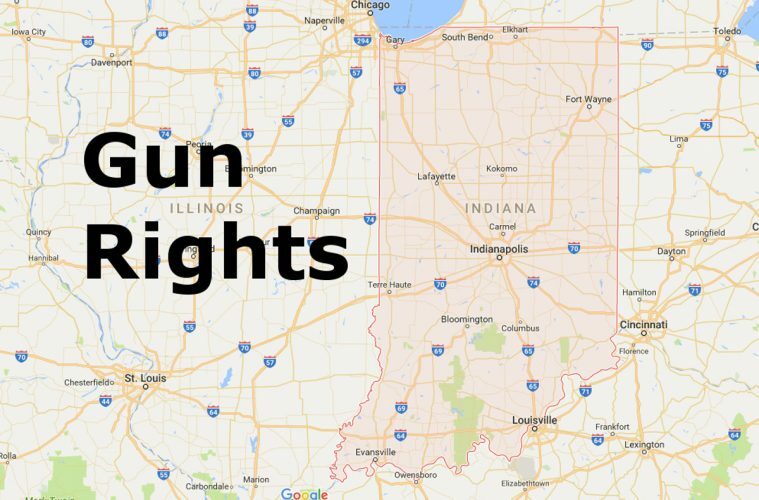 Hopefully, many other states will take similar legislative action to protect the constitutional gun rights of American citizens and establish laws to prevent future Obamas or Clintons from trying to steal those rights away.